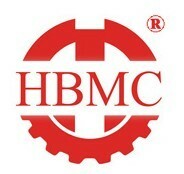 Hebei Machinery Import and Export Co.,Ltd. Established in 1974, one of biggest import and export company in Hebei Province. Hebei Machinery has adopted modernized management process, sound operational procedures as well as effective servicing warranty system and thus obtained the approval of ISO9001/Edition 2000 Quality System. For its good reputation and excellent service, Hebei Machinery has maintained long-term and regular business relationships with customers across 120 countries and regions all over the world and annual import and export business volume has come to 100 million US dollars. The company has its overseas subsidiaries or representative offices in Germany, United Sates, Chile, Argentina, Ghana, Tanzania and Burundi. Hebei Machinery manufactory and export Welding Machinery, Welding Consumable and Welding Component for more than 20 years. The products including Welding Electrodes Production Line, Welding Machine, Plasma Welding Machine, Cutting Machine, Welding Torch, Cutting Torch, Welding Wire, Welding Electrodes, and relative Welding products. It is our great honor to satisfy your requirements on welding products. Any requirement from you will be maximized by us.